Mayor Cerino called the Mayor and Council meeting to order at 7:40 p.m. In attendance were Councilmembers David Foster, Linda C. Kuiper and Rev. Ellsworth Tolliver, W. S. Ingersoll (Town Manager), Jennifer Mulligan (Town Clerk) and guests. Mayor Cerino asked if there were any additions or corrections to the minutes of the Mayor and Council Meeting of June 18, 2018. Rev. Tolliver moved to approve the minutes of the Mayor and Council meeting of June 18, 2018, was seconded by Mr. Foster and carried unanimously. Mayor Cerino stated that total operating cash on hand for unrestricted use is $562,475.57. A total of $61,851.92 in bills has been paid for construction work at the Marina which the Town was waiting to be reimbursed through grants, bringing the total to $624,327.49. Mayor Cerino stated that a category has been added for Private Donations to the Marina project with a balance of $361,124.75 which will be used for one to one matches as the Marina project progresses. Mayor Cerino asked for a motion to pay bills. Rev. Tolliver moved to approve payment of the bills as submitted, was seconded by Ms. Kuiper and carried unanimously. Mr. Ingersoll stated that the Downtown Chestertown Association submitted a permit request for a Sidewalk Sale on Friday, July 27th. Ms. Jenn Baker, DCA President, was present to discuss the permit application. Ms. Baker stated that she was joined this evening by Ms. Laurel Cox, owner of Blackbird Boutique. Ms. Baker stated that “Crazy Days” will now be referred to as the “Chestertown Sidewalk Sale”. Ms. Baker stated that the event will be 2 days on a Friday and Saturday with extended shopping on Friday, July 27th from 5 p.m. to 9 p.m. Saturday, June 28th will be sales during daytime hours. On Friday evening there will be regional vineyards selling wine by the glass, live music acts set up in different areas of the downtown, and food trucks and vendors on Park Row. Ms. Baker stated that the DCA was asking for a waiver of the open container law for Friday, July 27th so they can sell wine by the glass, and for the closure of Park Row to parking and traffic as outlined in the permit request. 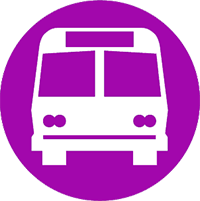 Ms. Baker stated that the DCA did not anticipate any street closures on Saturday, July 28, 2018. Ms. Kuiper moved to approve the waiver of the open container law and closure of Park Row to vehicles on Friday, July 27, 2018 for the DCA Sidewalk Sale as outlined in the permit request, was seconded by Rev. Tolliver and carried unanimously. Mr. Ingersoll stated that July 19th was a deadline for the BUILD (Better Utilizing Investments to Leverage Development) Grant through the Department of Transportation. He said that this was an offshoot of TIGER (Transportation Investment Generating Economic Recovery) Discretionary Grants. This year $1.5 billion dollars is available through the Department of Transportation for projects that will have a significant local or regional impact, focusing on correcting safety issues and repaving. The minimum grant request for a municipality is $1 million dollars. Mr. Ingersoll stated that Mayor Cerino spoke with a contractor and was told that it would cost approximately $6 million dollars to pave the 25.1 miles of road in Chestertown. Mr. Ingersoll stated that no one State can receive more than $150 million dollars. Mr. Ingersoll stated that he and Mr. de Mooy would like to submit a grant request for $2 – $2.5 million in order to restore as many roads as possible. Mr. Ingersoll asked the Council to authorize Mayor Cerino to sign any documents that would go along with the grant application. Ms. Kuiper moved to authorize Mayor Cerino to sign all grant documents pertaining to the BUILD Grant, was seconded by Rev. Tolliver and carried unanimously. Mr. Foster asked if repaving would be considered a safety issue. Mr. Ingersoll stated that restoration of roads was an issue. Mr. Foster stated that there were intersections he would like to focus on as well. He brought up the intersection on MD 213 and Queen Street. He said that there were many safety issues that could be addressed Town wide. Ms. Kuiper asked if ADA accessibility upgrades are permitted in the grant. Mr. Ingersoll stated that he would look into that issue. Mr. Ingersoll stated that Heron Point has requested that Chestertown be a conduit issuer of Heron Point for the refinancing of bonds originally purchased in 2013. He said that the Town can act as a conduit for certain conduit situations without affecting their own borrowing power or financial status. Mr. Ingersoll stated that a TEFRA hearing would be held on August 6, 2018 and Heron Point would cover all costs to the Town, including their legal fees for bond counsel. Mr. Ingersoll stated that he forwarded a letter to the Council earlier in the day outlining the request. Mr. Ingersoll stated that the Town has acted as a conduit issuer for Heron Point in the past without any problems. Mr. Ingersoll stated that Oak Street Townhouse development has requested two speed humps on Haacke Drive near Scheeler Road. Mr. Ingersoll stated that mainly the residents were concerned with Acorn Drive and Conley Drive and wanted them there. Mr. Ingersoll stated that speed bumps have been installed in different areas of Town but the best success stories are the speed tables in front of Garnet Elementary School on Calvert Street and in front of the Kent County Middle School on Campus Avenue. Mr. Ingersoll stated that they were expensive and were not appreciated by everyone. Mr. Ingersoll stated that Rt. 291 was how some traffic will come to the shopping centers and newly annexed Business Campus, noting that that Haacke Drive and Scheeler Road were built to be collector streets. He said that he thought the Council should discuss the issue with the shopping centers and KRM before installing the speed tables, if the Council agreed. Ms. Kuiper stated that there have been accidents at Scheeler and Haacke because people do not stop at the intersection even with the 4-way stop that is in place. Mr. Ingersoll said that this road was built to accommodate high density zoning and it was meant to be more travelled, adding that he would like to see the Town establish the pedestrian patterns as the residents had requested. Mr. Ingersoll stated that if the speed humps were installed he would like for them to be installed at either end of Haacke Drive, after discussion with the owners of the new business campus. Mr. Ingersoll stated that when the rail trail speed hump was built on High Street the business owners wrote and wanted to know why they weren’t consulted first. Mayor Cerino stated that the neighborhood residents in that area have done all that is required of them and the Council should provide an answer to their request. He said that it seemed as though the Council was in favor of the speed humps but would discuss the issue with the KRM Construction first. Mr. Foster moved for a favorable recommendation for speed tables at either end of Haacke Drive pending further discussion with the new business park, was seconded by Rev. Tolliver and carried unanimously. Mayor Cerino asked for a motion to appoint Ms. Dinah Hicks and Mr. Harold Somerville to the Chestertown Recreation Commission. Ms. Kuiper moved to appoint Ms. Dinah Hicks and Mr. Harold Somerville to the Recreation Commission for a 3-year period pending a background check, was seconded by Rev. Tolliver and carried unanimously. Mayor Cerino stated that fireworks will be held at dusk on Wednesday, July 4th at the Wilmer Park. He said that this show was using smaller shells and would be launched over the river. Rev. Tolliver stated that he spoke with Mr. de Mooy regarding the Washington Park park project. Mr. de Mooy told him that once the project passes through the Maryland Board of Public Works they could begin work, noting that it would likely begin in August 2018. Rev. Tolliver stated that the Town makes the effort to pick up and move the bulk trash but it is the residents’ responsibility to call it in and pay the fee to have it removed. Rev. Tolliver asked if the new owners of the former Magnolia Hall can be invited to come before the Mayor and Council to introduce themselves and provide information on their operation. Ms. Kuiper stated that it was important to know that the Kent County Historical Society is not the Chestertown Historic District Commission. She said that the Historical Society is in the Bordley Center on the corner of High Street and Cross Street and has information on the history and lineage of Kent County. 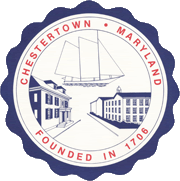 The Chestertown Historic District Commission is a Commission appointed by the Mayor and Council regarding the architecture and aesthetics of a property in the Historic District area of Chestertown. Ms. Kuiper stated that the Kent County Historical Society will be reviewing the Luminaire on First Friday, July 6th beginning at 4:00 p.m.
Ms. Kuiper asked that everyone keep Mr. Owen McCoy and his family in their prayers. Mr. Foster stated that he wanted to thank the Kent County News and Chestertown Spy on their coverage of a tax differential. He said that one factor that he thought affected when a tax differential was ultimately given was when the tax payers finally knew that tax differentials existed and insisted that they be treated fairly when it came to their municipality. Mr. Foster stated that the Community Breakfast Group was going to have a session focusing on the tax differential on June 19th. He said that he hoped the public would be more fully educated on the issue of a tax differential before the November elections. Mr. Foster stated that he made a presentation at Heron Point and spoke about the tax increase. He said that although nobody thanked him for it, they did seem to understand the need for it. Mayor Cerino displayed the trophy won by the Townies for coming in 2nd place in the Bocce League and congratulated the Boccelaureates on their 1st place win. He said that the Tuesday and Thursday leagues are packed each season. There being no further business and no questions or comments from the audience, Rev. Tolliver moved to adjourn the meeting at 8:23 p.m., was seconded by Mr. Foster and carried unanimously.